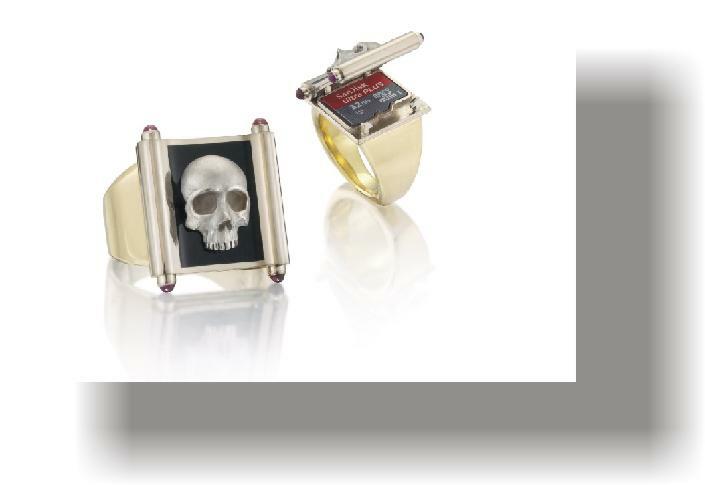 Memento Skull Ring, 18Kt white and yellow gold, ruby cabochons, memory secret compartment. Ruby cabochons, enameling, white and yellow gold, memory chip. containing upwards of 164MG of memory.